We can help you with replacement of your compressor we service units up to 15 Tons of cooling capacity, residential and light commercial. Our certified HVAC Repair technicians are prepared to perform your compressor repair or replacement. If you have an old air conditioner that uses a costly refrigerant like R-22, there is a chance we may be able to get your existing air conditioner running at a much lower cost by using a replacement refrigerant when replacing your compressor. When using replacement refrigerants manufacturers calculate with the different refrigerant you may get a 5-10% reduction in cooling and or btu’s of course your CFM / Air flow through out your ducts remains the same. Most homeowners that have their compressors replaced in Los Angeles do not notice the difference with the replacement refrigerant. 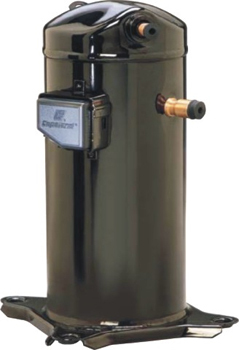 When a compressor fails or is having problems on start up, air conditioning companies do not give the option to replace the ac compressor in your system. A typical compressor replacement can run between $1700 to $3200+. Installation pricing of a compressor is also determined by how much refrigerant your HVAC system takes, some systems can take as little as 5Lbs while other systems can take up to 15+ Lbs or refrigerant. The price we quote you will be with refrigerant included unless stated otherwise. We service the Los Angeles, San Fernando Valley, Santa Clarita and Ventura County areas. The most common brands of compressors that need repair include Bristol, Tecumseh, Copeland, Trane, Danfoss, Carlyle (Carrier) and York. We service and repair all brands of air conditioners. Compressor will not start some or most of the time, fan runs at full speed. Compressor trips breaker or blows fuses as soon as power is applied. Compressor will not start even though all components are good and all wires are connected. Compressor sounds like it is running but does not pump refrigerant. Compressor is going off and on – very loud sound. Shut it off immediately!!! Compressor has a hiss like sound. Need your ac compressor replaced? Having the compressor and/or condensing unit (outdoor unit) model number can help us give you an estimate over the phone on replacement. If you need a second opinion after having a licensed HVAC Contractor out to your home or business feel free to schedule a Diagnostic with one of our technicians, while out there if it turns out you need to replace the ac compressor we can give you an estimate. Serving Southern California since 1995. The best heating & air conditioning company. We service, repair, and install all kinds and brands of heaters and air conditioners. We need our customers as much as our customers need us. We believe in going way beyond the call of duty. Whatever it takes to ensure your complete satisfaction — that’s what we’ll do, give us a call. We service the San Fernando Valley, Santa Clarita and Ventura County. Is It Time To Replace My AC? Can i do anything to extend life of my AC? What Caused My AC Pipes to Freeze?